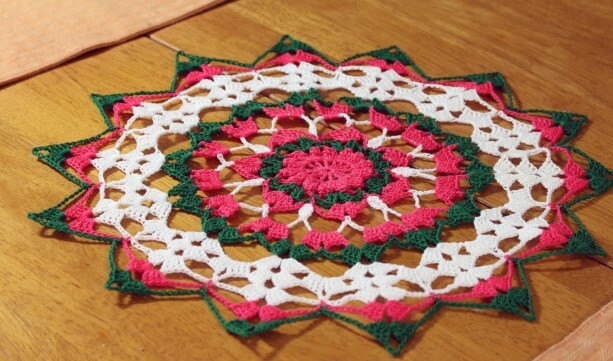 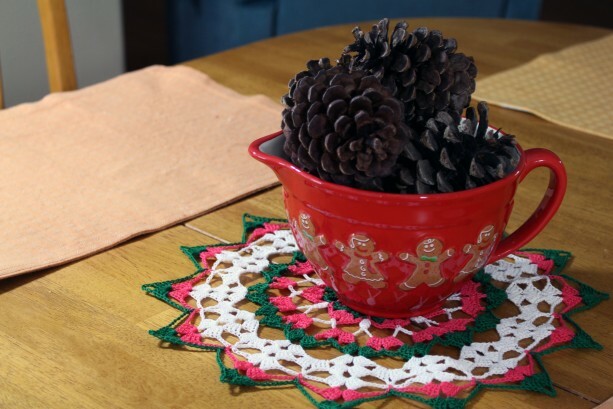 Small, handmade doily in Christmas colors. 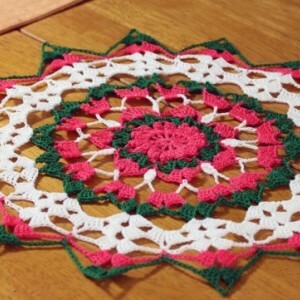 13" diameter. 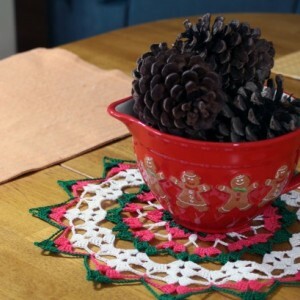 Perfect to decorate your home for the holidays or to give as a gift.